We offer our clients a wide a range of liquid filling machines which are manufactured using high quality raw material and advanced technology so as to ensure reliability and durability at clients end. 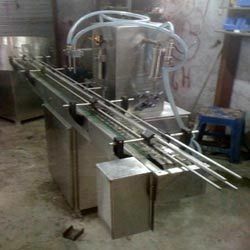 Our range of liquid filling machines is also available in customized options as per the client requirement and specifications. Our range includes volumetric liquid filling machines, automatic liquid filling machines, semi automatic liquid filling machines and weight metric liquid filling machines. 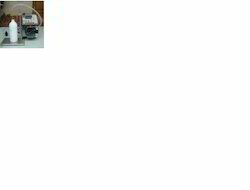 We offer clients a wide range of volumetric liquid filing machines which is manufactured using quality raw material to offer hassle free operation at clients end. Our range of volumetric liquid filing machines is equipped with unique bottle separation method and does not makes use turret or holding slides and is widely in demand for filling foamy and other types of liquid using the syringe principle. 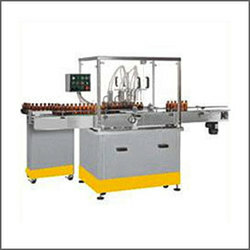 Our range of 4 head liquid filling machine (4 HSL) is a multipurpose machine having a filling speed of 35 bottles per minute and is also provided for bottle fitting. 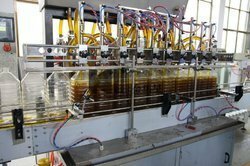 We specialize in manufacturing a wide range of automatic liquid filling machines which is designed for filling the containers that can not stand by themselves. 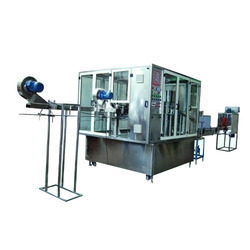 Made of superior quality material these automatic liquid filling machines are renowned to function with precision in their specified application and have earned us huge accolades from our clients across the globe. Moreover, we also provide specific holding could is available upon request. 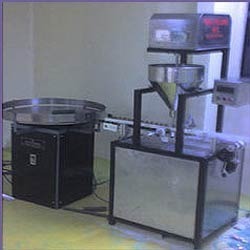 Our precision engineered range of weight metric liquid filling machines are fabricated using quality raw material and are appropriate for filling granules, free flowing powders, rice, pulses and nuts on weight basis. Our range of weight metric liquid filling machines has optional equipment like an automatic screw feed with level sensor and special models with multiple filling heads/automatic handling of containers for higher output is also available. In this machine, weight is controlled by a load cell with micro process programmable system and has a high level of accuracy with the facility of course feed and fine feed. We manufacture net weigh fillers to first weigh the product to be filled—before it’s dispensed to the container—in order to ensure total accuracy of fill level in each container. This not only means you’ll have aesthetically pleasing fill-line results, but also that you will have consistency from one container to the next. Achieving such accuracy also means you won’t be under or overfilling containers, which can save money in product and boost customer satisfaction levels.
. We manufacture these machines using quality measures as per standards. It is efficiently equipped with adjustable volume control and bottom-up filling assembly and filling speed differs with volume. 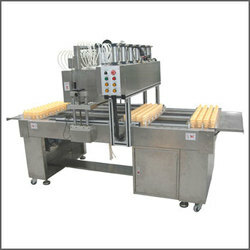 The SF series is designed to achieve accuracy and efficiency combining with user friendliness. 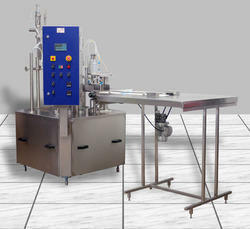 This machine can fill 100 mg- 3 gm with zero error in ampoules, vials, bottles etc. This is achieved by a high precision closed loop control stepper drive automated by our specially developed PLC. This machine can be operated by any operator because of its simple interface and no setting hassles. 230 VAC single phase power supply. Can be connected to existing lines. Suitable for filling all types of powders. Automatic no bottle no fill arrangement. 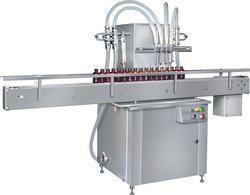 Output upto 15-18 bottles per minute. Frame size 600 x 600 x 700 mm height. Suitable for filling all types of liquids with less density. 1.5 HP motor with gear box. All contact parts in SS304. No air supply needed ,completely mechanical. 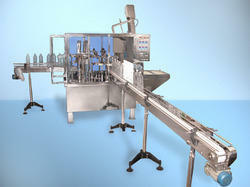 We are passionately engaged in manufacturing a high grade range of Injectable Liquid Filling Machine. 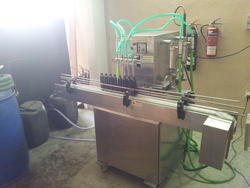 It is an automatic filling machine which works on volumetric principle and is designed to fill various types of liquids in different type of containers. 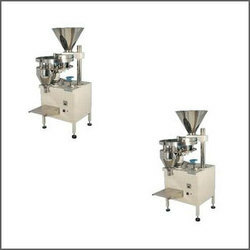 The machine is available in different heads models for various shapes, size and different fill sizes and output. 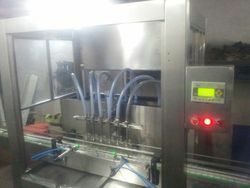 The machine is suitable for fill liquids from 5 ml to 1000 ml. Being a highly effective, lean and fast-moving organization, we are highly instrumental in providing a classy range of Semi Automatic Filling Machine. 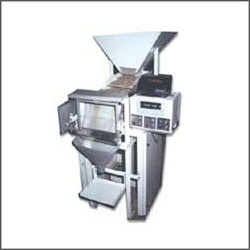 These provided machine are used for filling viscous products by manual loading and unloading. These filling machine are available in customized options as per the need of customers and are designed by our competent workforce by using premium grade of components with ultra modern machinery.